I've spent most of the past two weeks away from internet connections – firstly in the far north of Scotland, and then on a wild camping trip, part of the preparation for my Mountain Leader training assessment. I've been doing things that have taken me right out of my comfort zone, but with enormous rewards. I'm not the only one stepping outside the comfort zone. I have friends and associates who are bigger risk-takers than I am. It's made me think about the issue of risk and reward. Why do some people blithely go where angels fear to tread? Are they being intrepid, or just foolish? Some people think I am intrepid because I love to climb high mountains. But I see it as taking calculated risk. I only do what I think I'm capable of, and I don't do anything that I don't feel ready for. Click here to see this map in greater detail. 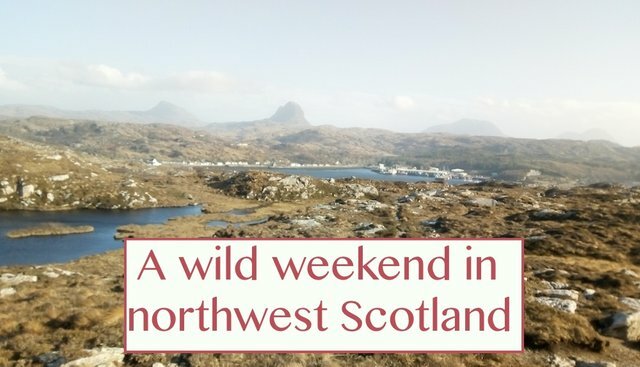 I had signed up for a trip to the north west of Scotland, which was arranged a couple of months ago. It was being organised as a tribute to two climbers who recently died on Ben Hope, one of the mountains we were planning to climb. The woman who organised the trip was a friend of Steve Perry, one of the men who died. 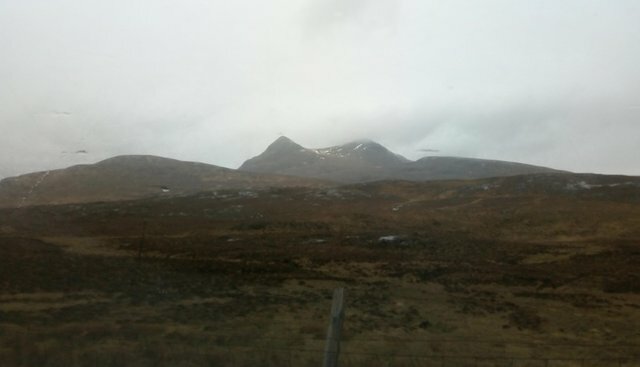 I had never met the two men, but I knew that they were expert climbers who had pioneered many difficult routes, so I wanted to pay my respects, and I also wanted to climb Ben Hope. I had never visited the far north west of Scotland, and I felt that a visit to this amazing part of the country was long overdue. 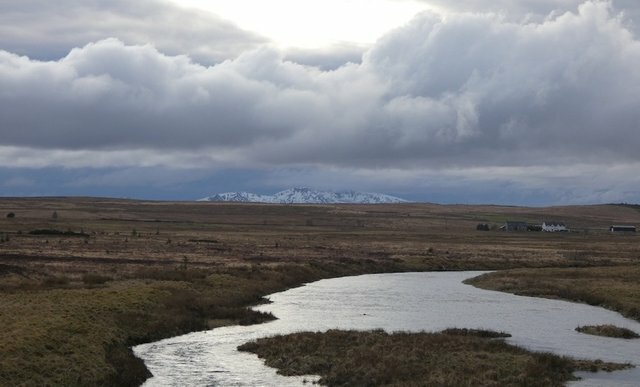 Vast marshy moors broken up by lochs and dotted with stark rocky outcrops characterise this far northerly part of the UK. Click here for a higher resolution image. Zooming in on a snow-laden Ben More Assynt in the distance. The plan was to climb a mountain called Cul Mor on the Friday, Ben Hope on the Saturday and Ben Klibreck on Sunday. Some people were planning to stay for a fourth night, to climb another mountain, but me and my friend Karen felt that three big climbs would be enough! I had offered Karen and another friend, Lawrence, a lift. Karen had booked a room at the Crask Inn near Lairg for three nights, while Lawrence and I were planning to camp. As the date for the trip approached, the weather started to deteriorate. People started cancelling. Lawrence cancelled the night before the trip. In the end, only seven of us headed up north – the diehards! 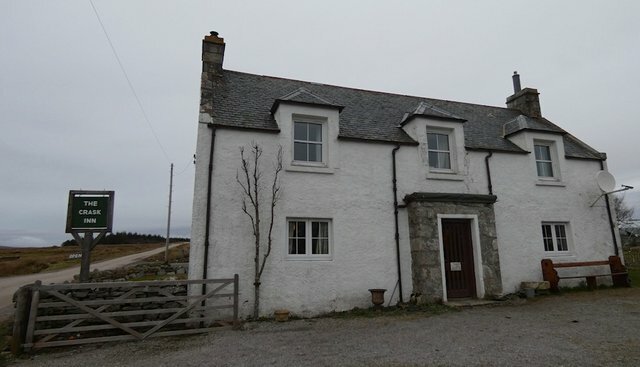 The Crask Inn is in a very remote location, about 10 miles north of the small town of Lairg. There is a phone signal, but no broadband connection, and the hotel's electricity supply is powered by a generator. The hotel's owners operate their own water filtering system, which I'm guessing comes from a septic tank. 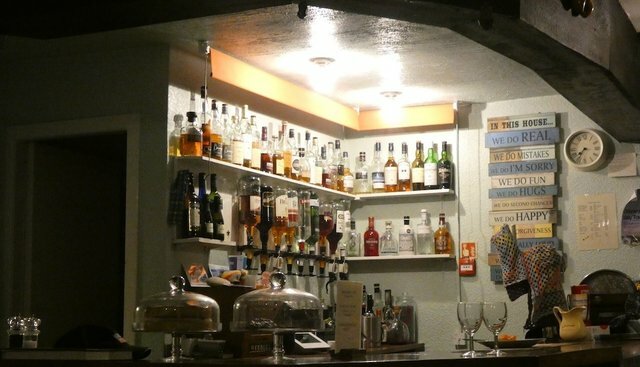 It is a very comfortable, homely and friendly place with a bar and delicious home-cooked food. ... and a well-stocked bar. What more could you ask? We drove up to the hotel on the Thursday 21st March, and I camped in the garden of the Crask Inn that night. Camping in an unfamiliar place in March took me well out of my comfort zone, but I felt it was the only way I could afford the trip financially, as I'm stretched to my limit with the expense of paying for my training course. My tent in the garden of the Crask Inn. The birdsong was lovely, though in the middle of the night I felt a little unnerved by the sound of the wind rustling through the nearby trees, and quite an eerie sound which I knew was some kind of wildlife – but I couldn't work out what! It was a kind of vibratory humming which intermittently seemed to hover very close to my tent. I imagined that it might be some kind of giant moth. I knew it wasn't a bat, because they make very quick movements, and this was a kind of slow, gentle hum. I unzipped my tent a couple of times to see if I could spot the creature, but the noise stopped as soon as I did this; then it started again once I was back in my sleeping bag. In the end I got very little sleep – not because I was uncomfortable, but just due to the strangeness of my surroundings. 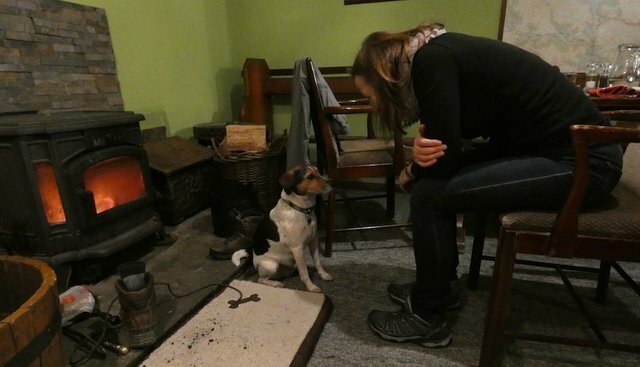 The next day I asked Douglas and Denise, who own the Crask Inn, what the eerie humming sound might have been. They said it would have been a snipe, a type of bird with a very long beak. 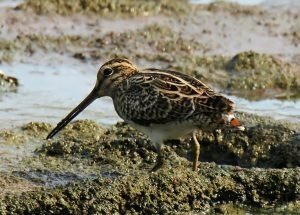 They have never seen a snipe, but apparently they often hear them! Although the weather hadn't been too bad that night, it became quite stormy during the morning, and by the time we reached the car park for Cul Mor, there were high winds with driving rain. Winds of 50mph gusting up to 70 were forecast for local mountain summits. Cul Mor from the car park. Not an inviting prospect! We met Sunny and her partner, who were staying elsewhere, and Alex, another walker. None of us wanted to do a hillwalk in these conditions! Luckily, having seen the forecast earlier, I had printed out a couple of alternative low-level walks, and we did one of these instead. 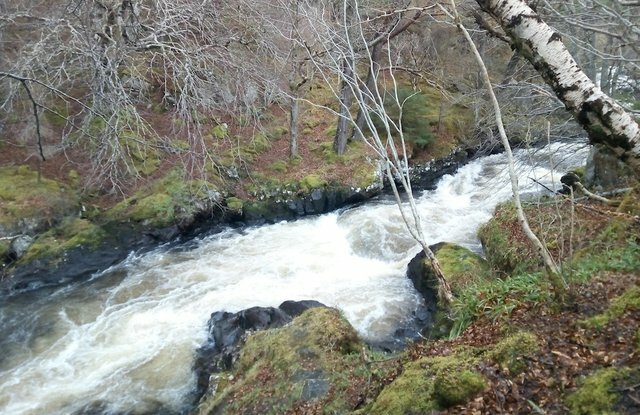 The River Inver in spate. It took us along the River Inver, near the town of Lochinver. 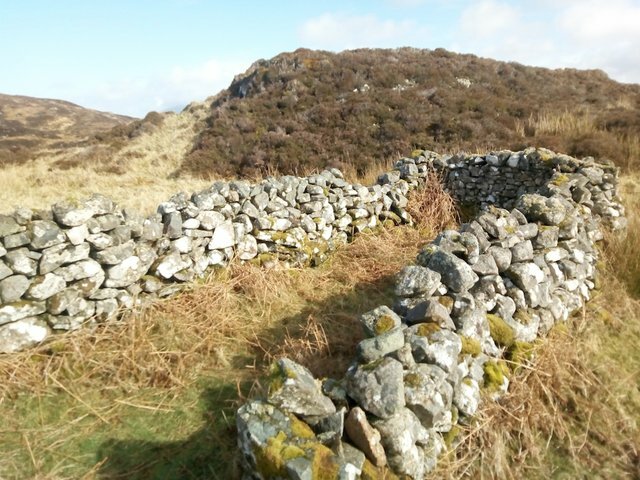 We passed the ruins of some blackhouses that had been cleared in 1800 to make way for a sheep farm. After a break for lunch, we did another short walk, which led us to a spectacular viewpoint, from where we could see some of the dramatic mountain peaks in the area. Although the weather was too bad to climb them, we resolved to return to the north west to climb them another time. Left to right: The Quinag, Canisp, Suilven, Cul Mor, Cul Beag, Stac Pollaidh, arrayed on a landscape that looks a bit like the surface of Mars! Click here for a higher resolution image. As we were strolling back to where our cars were parked, the clouds rolled in and we were caught in a hailstorm. Driving back to the Crask Inn in late afternoon, my car windscreen was lashed by hail and snow. When we reached the Crask we were surprised to find that they'd had neither rain nor snow, but the wind was sounding much stronger than forecast for that evening. The owner offered me a great deal on a hotel room – £30 for bed and breakfast, a low-season discount. I had already offered to pay £10 a night for camping in their garden, and with the wind gusting up, an extra £20 extra seemed a small expense for a warm bed and a cooked breakfast. Denise and Douglas were happy for me to leave my tent up in the garden, so that I could use it on the Saturday night. Suddenly I heard the wind whipping up to what sounded like gale force. My little tent looked as if it was being dragged off its pitch. I raced outside, moved all my everything from the tent to the car, and dismantled it as quickly as I could. As I lay in my warm bed that night, listening to the wind howling outside, I knew I'd made the right decision! I'd had so many thoughts about whether to cancel this weekend. Maybe if Karen had not already booked and paid for accommodation, we would have called it off. And if we had done so, we'd have missed out on some great adventures – maybe not the ones we'd planned, but none the less memorable for that. The Wee Hoose in Little Loch Shin, Lairg. Congratulations, your post was discovered and featured by @OCD in its daily compilation 286! It looks wonderful! £30 is an absolute bargain to avoid getting blown away. Never been to NW Scotland - I've been put off by tales of midges, although I guess you won't get those in March! It is wonderful - proper old-fashioned hospitality! And yes, it was a midge-free zone in March. 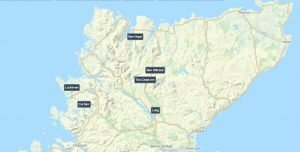 Get up to the north west of Scotland. It's a special place. What a wonderful adventure @natubat! The Inn with the generator certainly won't have loadshedding issues not so ;) The wee hoose looks really wee but so cute, but the old blackhouse in your link looks really forlorn, imagine how cold and dark it must be! I'm glad you take calculated risks but I still think you're a very brave lady so take care on your adventures @ natubat! Glad you enjoyed it @lizelle! 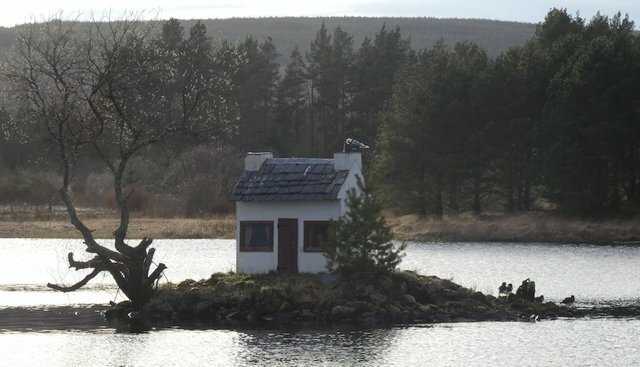 The Wee Hoose just sits on its wee island in the middle of the loch - we just had to stop and take a closer look. And you're right - the blackhouse looks so cold. I can't imagine what it must have been like to live there in winter. The Highland Scots were Hardy folks. It all looks wonderfully wild, if it wasn't so damn far away we would be there next weekend. I still haven't been further north than Inverness. Wild is definitely the word! That was am extra 20 pounds well spent! Fantastic travel adventures up north! Thanks for sharing your journey with us @natubat! Oh man, that must have felt great! 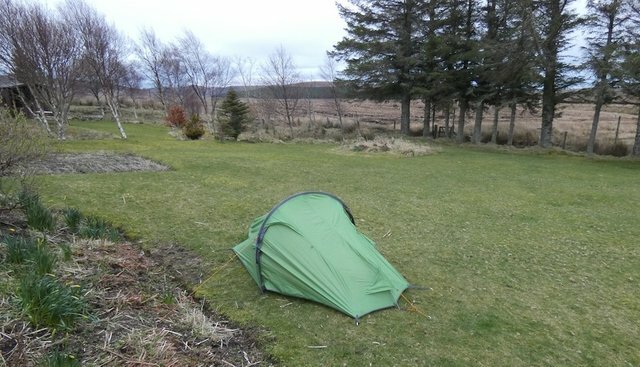 I had already offered to pay £10 a night for camping in their garden, and with the wind gusting up, an extra £20 extra seemed a small expense for a warm bed and a cooked breakfast. Haha - yes I can see your point about the warm bed. But it's nice feeling so close to nature (when it's not too windy). And you're right, it was quite nice having a break from the internet. I think it made time go more slowly. One of my biggest wishes in life is to sleep in a tent one day :)) it's a great thing you didn't cancel it, I would have loved as well to have adventures like that! If you have a tent with a built-in groundsheet, just make sure it's zipped up when you're away from it and you won't get any bugs. Also, if you cook near your tent (but not inside it!) the smoke keeps the bugs away. I got my sleeping back from Decathlon. It's a big French-based international store, so I think you should be able to order it. Mine is a down sleeping bag and it weighs less than 1kg. I did a lot of research before buying it, so I know that it was great value for the price. If you're not going to carry your gear on your back, you can get an equally warm sleeping bag for a cheaper price, but it would weigh more. In cold weather I also use a cotton "mummy liner" when needed to add extra warmth, and a silver car windscreen frost cover as a ground liner, which I bought from Lidl for about £2.50. Thanks a lot! I will definitely look into it, if I succeed in ordering the same one I'll be very happy cause it seems like the perfect one for me :) I just hope I won't forget I have an actual bed and get used to sleeping outside every night :D although I wish I could lol. Haha - yes you could get used to sleeping outside. Though in Scotland the weather would soon remind you of that nice warm bed. I am glad you didn't cancel and had a great weekend out. Staying in the hotel was definitely the right choice as you at least got some sleep. Getting away from it all is more of a break than you can imagine and I am sure you will do many more in the future. Thanks @cryptoandcoffee - I certainly will do more of these trips! I love reading about journeys like this... although truly cold weather is not an option for me right now, there is something about cold landscapes, and what it takes to get out into them, that is very beautiful to me. I can imagine the stillness of a spring that has not quite sprung yet in northern Scotland -- although the whirring of a snipe's wings DOES say that spring is here! I also imagine the energy of a storm as you experienced in the car park for Cul Mor. The amount of water in the landscape also adds jewel tones to your photos ... cold worlds of sapphire and silver and chrome and tin and stone. Thank you for sharing, and keep us posted! Thanks for your lovely comments @deeanndmathews. You are so right – cold, wild weather has a kind of dramatic allure. It makes the indoors seem extra cosy, and being out in that weather can be challenging and exciting and rewarding at the same time. Glad you enjoyed my post. Thanks @tattoodjay! So glad you enjoyed it.